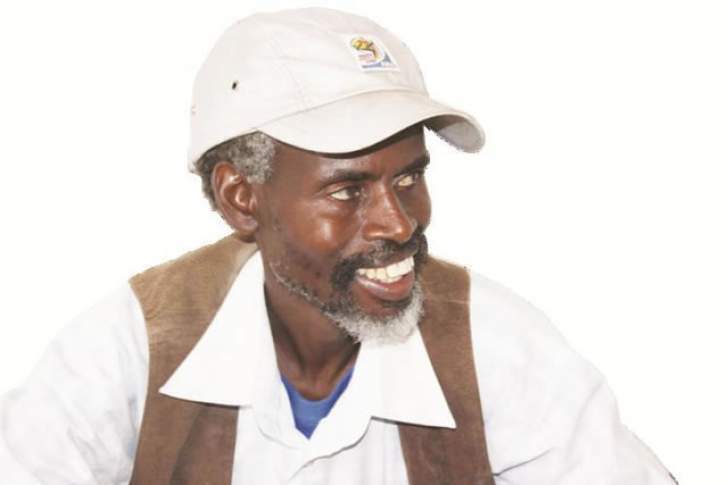 After achieving so much in the arts and having founded Amakhosi Cultural Centre, multi-award winner Cont Mhlanga has retired to his rural home of Lupane in Shabulani Village, Matabeleland. Over the years, Mhlanga has published three books and written more than 20 plays among them 'The Good President', 'The End', 'Sinjalo', 'Children on Fire', 'Games and Bombs' and 'The Members' which offer social commentary from politics, corruption, human rights abuses and dictatorship. His politically-charged play 'The Good President' which was banned in Zimbabwe won him an Art Venture Freedom to Create Award. 'The Good President' depicted an African dictator who had ruled his country since 1980. Mhlanga was arrested and briefly detained in May 2006 on the grounds that his plays were anti-government and meant to incite an uprising against the regime of then longstanding former President Robert Mugabe. In 2015, just before his retirement Mhlanga was awarded the Prince Claus, an international accolade given in honour of Prince Claus of the Netherlands for outstanding achievements in the field of culture and development. He got 30 000 euros as prize money for the award. The Daily News on Sunday spoke to the controversial artist and below are some excerpts from the interview. Q: What made you decide to leave the city and live in the village? A: I just took a conscious decision to take a break from the arts after 37 years of activity and return to my village and experience what I have missed since moving to the city at a young age. However, my old time friend Oliver Mtukudzi always says to me 'Cont you can't retire from yourself.' We have yet to prove each other wrong or right. However, so far I remain retired and in Lupane. Q: Do you miss city life? A: Not at all. I have just noticed that rural spaces have more alternatives and opportunities than urban spaces for a creative person such as myself. At times I regret why I did not come back to my village some 10 or so years ago. The last time I was in Bulawayo a few weeks ago I noticed that the city skyline is not changing and the arts industry is frozen in similar works and expressions of our time with no new critical experimental creative works that open new boundaries. Q: How is life in the village? A: My life at my rural home feels like a long refreshing holiday after so many years of arts activities and globe-trotting. This freshness has tuned my mind to learning about village life around me and our Lupane district at large. It feels like I am at university asking so many questions and ever digging for answers. I spent my artistic life observing the world from an urban view point and now I view the same world daily from a rural village point of view. I now understand that arts and entertainment are very different from culture, traditions and heritage. In the city, I worked with arts and entertainment and now in the village I find myself working with culture, heritage and traditions. The experience, knowledge and wisdom is very different. I now view our Zimbabwe politics and economic challenges very differently than when I was applying the urban view to observe and analyse it. A: I spend my time in the village setting up foundations to make things. To process raw materials and make things that we need at home building value addition systems, processes and foundations of products that I am passionate about. We love coffee at home so we grow and process our own coffee. We love goat meat at home so we produce our own goats, process the meat and recently we just started a goat skin turnery process to produce quality hides to produce products we want with the hides. I am learning that it's great fun to value add things that you produce. With Internet in my village I can see what others are doing across the world and compare with what we do and the results. We have the whole world in my village and learn from it daily. Q: Which other projects are you involved in? A: I also give sometime to participate in community projects that have to do with infrastructure development by the community for the community. On arriving in my village I initiated the formation of the Shabulana Electricity Association that now has 45 members who contribute money towards the electrification of their village. Its objective is to bring electricity to the whole village. After the electricity project we intend to move on to the piped water project. It is my take that the environmental framework and concept of our rural villages should be maintained and developed but the mind-set of the rural village has to change. I find the current mind set of the rural village in Zimbabwe stuck in the colonial past and very annoying yet there is so much talk of rural development in government. A: Yes, I am the Patron of the Pupu Tshangane Carnival a community-based event that commemorates the colonial resistance battles by King Lobengula's warriors against Rhodes invaders in 1893 at the battle of Ensindamadoda, Pupu and Emtswilini, celebrating the victory of the warriors in all the three battle grounds. The carnival of song and dance is held annually in June and next year will be its fourth edition. Beginning this year I was involved with the annual Rain Dance Ceremonies that take place at Njelele every August and in Lupane every September. This year over 150 rain dancers from across Zimbabwe and southern Africa assembled at the top of Njelele for the all-night rain dance. These are not arts and entertainment events that I used to be involved with but deep culture and heritage events. There is so much good to learn from our traditions especially now that we are faced with a decayed Zimbabwe social fabric, Ubuntu. A: I see myself developing a future as a performing arts critique and commentator. However, this requires that I set myself to travel extensively across Zimbabwe and the African continent experiencing all kinds of performing arts. I also see myself getting involved more and deeper with matters of African culture, traditions and heritage. Lastly, I see myself getting involved in matters of national healing with focus on Gukurahundi and tribal tensions that are currently on the rise in Zimbabwe more so in Matabeleland. I hate to see today's generations inheriting tribal conflicts of the past and embracing them as their own. In this line of thought the work of ORAP in the Western region and Kufunda Village in the northern region grabs my attention and support on national healing. They have my time and support in this noble initiative. Between these interests I will be making things in my village and taking a long holiday.